Do you have the Roblox application installed on your Mac? Were you thinking on how you can remove from your Mac for a very long time now? Well, don’t you worry. Because in this article, we are going to show you easy steps on how to uninstall Roblox on your Mac. Part 1: What is Roblox? Roblox is known to be a multiplayer online game which is used by many players. They use this for them to be able to customize their virtual characters with several numbers of hats, head shapes, body shapes, clothing, and gear. They can make their very own clothing which will let them be a more personalized in-game experience. The Roblox is made available for any PC, Mac, Android, iOS and Amazon devices. However, time will come that you would want to remove this from your Mac and it would be better if you remove it properly from your Mac. But how are going to do that? In this article, we are going to show you different ways on how you can uninstall Roblox from your Mac completely. Here, we are going to show you on how you can uninstall the Roblox from your Mac by using your Trash and the other one is by using a powerful tool to completely uninstall the program. So here are two methods that you can choose from. Another way for you to be able to uninstall Roblox on your Mac is by using a powerful uninstaller tool. This way, you will be able to feel safe and make the task faster and easier for you. And the most recommended tool that you can use for you to do the job is by using the iMyMac PowerMyMac Uninstaller. The iMyMac PowerMyMac Uninstaller is one of the most powerful tools when it comes to uninstalling any applications that you have on your Mac – including Roblox. The iMyMac PowerMyMac Uninstaller will make sure that you uninstall the application properly together with all the associated files or folders of the application. All of these with just one click of a button. So, for you to be able to know how to use the iMyMac PowerMyMac Uninstaller, here is a step by step guide that you can follow. First is you have to download the iMyMac PowerMyMac program from our official website at www.imymac.com. And once that you are done downloading the program, go ahead and install it on your Mac. After successfully installing the iMyMac PowerMyMac on your device, go ahead and launch it. 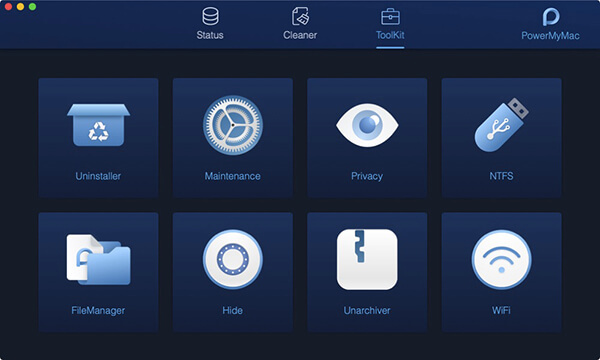 You will be able to see on the main interface of the program the System Status of your Mac. This status is real-time as you are using your Mac. You will be able to see your CPU usage, Memory Usage, and your Disk usage. Also, you will be able to see three modules located at the top of the main interface. One is the Status which shows you the system status of your Mac. And the other two is the Cleaner and the Toolkit. From there, go ahead and choose the Toolkit module. After choosing the module, the iMyMac PowerMyMac will then show you a list of option under that Toolkit module. From that list shown on your screen, go ahead and choose Uninstaller. After choosing the Uninstaller option, the iMyMac PowerMyMac Uninstaller will then ask you scan your Mac. This process is a must so that the iMyMac PowerMyMac will be able to find all the applications that you have installed on your Mac device. From there, all you need to do now is to wait until the process is complete. You will be notified once that it is complete once that you see a full circle on the left side of your screen. Once that the scanning process is complete, you can now view all the applications that you have on your Mac. To do this, all you have to do is to click on the View button and all the applications that you have will be shown on the left side of your screen. From the list of applications shown on your screen, go ahead and locate the Roblox application. You have two ways on how you can do this. You can either scroll through the list of applications, or you can also use the search bar above. And once that you have located the application, go ahead and click it. Once that you have clicked the Roblox apps from the list, the program will then extend it to the right part of your screen. And on that part, you will be able to see all the files and folders that are associated with the Roblox application. Go ahead and choose all the files or folders that you would want to remove from your Mac together with the Roblox apps. You can simply tick on them one by one. Or you can also click on the Select All option located at the top of your screen. Once that you have chosen all the files or folders that you would want to remove from your Mac, go ahead and simply hit on the Clean button. This will then start the cleaning and uninstalling process. And once that you clicked on the Clean button, the iMyMac PowerMyMac Uninstaller will then ask you to confirm the following changes. All you have to do from here is to click on the Confirm button from the pop-up box that will appear on your screen. 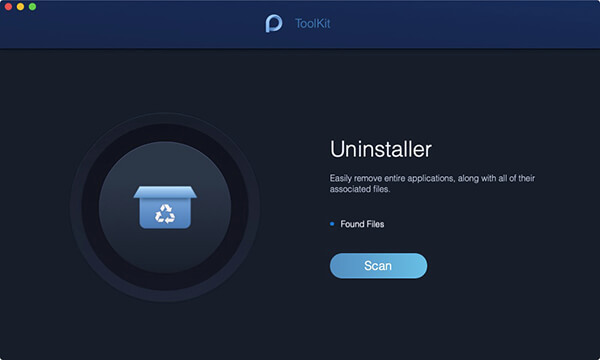 After clicking on the Confirm button, the iMyMac PowerMyMac Uninstaller will then start to clean up all the files and folders associated with the Roblox application and of course uninstalling the Roblox application. 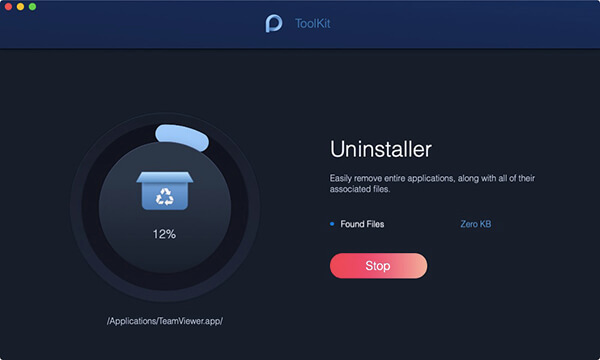 As you can see, the iMyMac PowerMyMac Uninstaller has the power of uninstalling a certain application and at the same time, cleaning up all the files and folders associated with the app. All of this task with just one click. Meaning, you will no longer need to go through all of the files on your Mac. Using the iMyMac PowerMyMac Uninstaller will also let you feel safe because you no longer need to worry about deleting the wrong file. And also, using this application will also let you gain more of your storage space as well. This method actually comes in three ways. So for you to know how it works, here are the things that you can follow. The first thing that you should do here is for you to quit Roblox from running on your Mac. If you do not do this, then you will fail in uninstalling the application. Here are the steps that you can follow to do so. Go ahead and right-click on the Roblox icon from your Dock and then go ahead and choose “Quit”. Then, go ahead and click the setup on the upper-left corner of your screen near the Apple logo and then choose “Quit Roblox”. 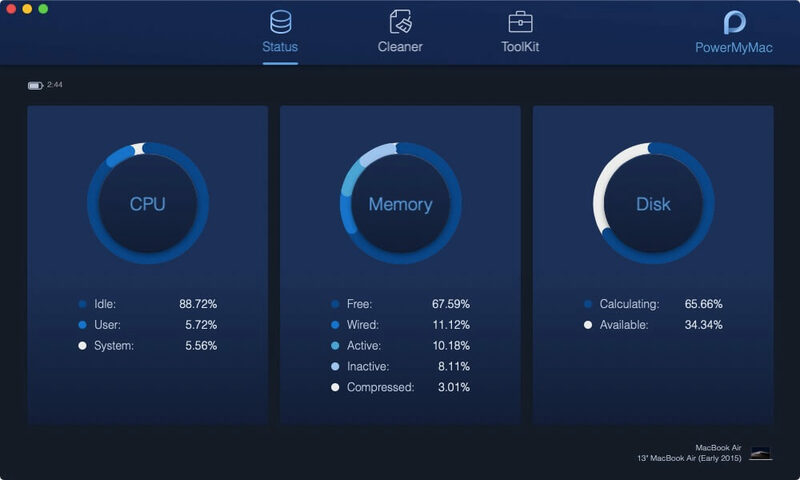 Negative the Activity Monitor from your Applications. Then go ahead and click Finder and then choose Dock. Then go ahead and click on the Network button. From there, go ahead and choose all the running process of Roblox on your Mac and then click on the “X” button on the left side. Then go ahead and click on the Quit button for you to confirm the exit. NOTE: In case the first two ( a and b) did not work on your Mac, then you can go ahead and simply force quit the window. To do so, all you need to press are the following keys: Command + Option +Esc. Then go ahead and choose Roblox from the pop-up window and then click on “Force Quit”. Step 2: Go ahead and Drag the Roblox to Your Trash. Once that you have quit the application from running on your Mac, you can now go ahead and remove it. Here is what you need to do. Go ahead and open the Applications folder from your Mac’s Dock. Then go ahead and locate Roblox and click it. Hold the Roblox icon and move it over to your Trash. Then go ahead and press and hold the Ctrl button and then click on Empty Trash. Once that you have dragged over the Roblox application to your Trash, then it is time for you to find all the associated files or folders that comes with the application. Doing this will allow you to completely remove Roblox from your Mac. However, as we have said earlier, this method is not that 100% effective when uninstalling the application. It is because there might be some files or folders that can be hiding on your Mac’s system. So from here, you need to launch the Library folder on your Mac for you to be able to clean up all the residue files or folders of Roblox. Once that you have successfully launched the Applications folder on your Mac, go ahead and check all the folder paths that we are going to provide you below and look for all the files or folders that are associated with Roblox or has the name Roblox on it. Here are the folders paths that you can go to. NOTE: Be careful when cleaning the residue files or folders of the Roblox application. Make sure that you do not touch any unknown items if you are not sure about it. It is because this may damage some of the applications that you have on your Mac or can damage your Mac’s System. As you can see, doing the first method can be very time consuming and at the same time, it can also be very risky. It is because there is a tendency that you might leave damage to your Mac especially if there are some unknown items that you have accidentally deleted from your Mac’s system. That is why the most recommended way for you to uninstall Roblox is what we are going to show you in Method #2. So there you have it! We have shown you two methods on how you can uninstall Roblox from your Mac. You can choose from the two methods that we have given you depending on what you are comfortable in using. If you have been opting to uninstall Roblox manually from your Mac, you have to make sure that you have all the time needed as this is a time-consuming method. Also, you have to go through all the files and folders as well on your Mac to remove all the leftover files of the Roblox application. On the other hand, you can also use the iMyMac PowerMyMac Uninstaller for you to uninstall any application on your Mac easily. Using the iMyMac PowerMyMac Uninstaller will definitely make your life easier. You no longer need to go through all your files after uninstalling the application because the iMyMac PowerMyMac Uninstaller will do the job for you. With this powerful tool, you will be safe that you will not remove any files accidentally and at the same time, the process is very easy to follow. And once that you have uninstalled the application from your Mac and getting rid of the leftover files or folder, you will then be able to gain more space for your storage.